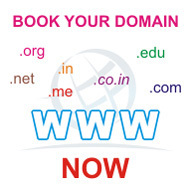 The term 'transfer' has been used to describe various kinds of domain name transfers. Traditionally, simply changing the nameservers providing name service for a domain was considered a transfer. Nowadays, such a modification is more rightly called a modification, and the term 'transfer' describes the transfer of a domain from one registrar to another.